Arjan's Strawberry Haze is a sativa-dominant plant that brings together a Swiss Sativa with NL5 Haze Mist. 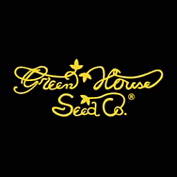 At the Green House Seeds' Very Important Smokers panel in 2005 it was voted as the best strain which is quite an achievement. A plant that can grow very tall, Arjan's Strawberry Haze is 60% sativa with high THC production levels. Indoors its potential height makes it necessary to train in some way; SCRoG or LST are the favourite options. It also benefits from a shorter vegetative growth period which will help to control its urge for vertical growth. In 10 weeks flowering growers can obtain 600 gr/m2 of prime bud. Outdoors, where it grows in a range of climates, as much as 800 gr/plant will be harvested in the middle of October in northern latitudes. THC production is high with this strain and has been measured at 19.72% with negligible amounts of both CBD and CBN at just 0.07%. This strain's effect is almost exclusively cerebral in nature with just a very mild body stone. It is very uplifting, highly creative and is a perfect choice for good social interaction at parties and gatherings.